In the small world of smartphones with power cameras, there are two handsets that standout from the rest of the crowd – the Samsung Galaxy S4 Zoom and the recently launched Nokia Lumia 1020. These two phones pack the most powerful and most advanced camera systems among all mobile phones and are the most sought after devices for those who fancy a two-in-one device that can capture high quality images and act as a communication device. For the first half of the year, the Samsung Galaxy S4 Zoom has remained the top dog in the super camera smartphone league with its 16MP camera with 10x optical zoom. However, Nokia Lumia 1020 is generating a lot of hype these days with its 41MP Pureview camera and is potentially giving Samsung a run for its money. But is it all about the number of pixel in a camera sensor which dictates which phone is better? Of course it isn’t, but there are still a few things about the Lumia 1020 which make it a better alternative than the S4 Zoom. Here are some of them. A smartphone’s camera was initially designed as a quick snapper that can quickly be an alternative whenever you want to capture a specific moment but forgot to bring a proper camera. So initially, smartphones weren’t designed to pack massive camera sensors and lenses. So when Samsung decided to fit in an optical zoom to the already massive 16MP sensor on the S4 Zoom, it was already a given that the phone will be bulky. The Lumia on the other hand, although it also has a considerable amount of “girth”, is more discrete than the Samsung. Except for a small portion of its back where the camera sensor is located, the profile of the phone is comparable to other smartphones in the market. So in this category, the Lumia has a definite advantage over the S4 Zoom. Aside from the slight bulge at the back, the Lumia is more manageable to handle compared to the beefy Samsung. 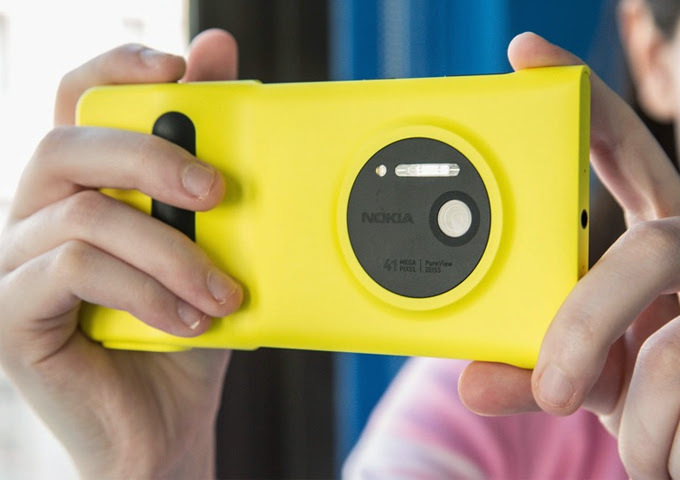 The Lumia 1020 also has an optional camera grip which can be detached when not in use so users can choose if they want to use the device as a somewhat proper phone or camera. Lastly, Samsung’s addition of an optical zoom to the Galaxy S4 poses some concerns with the device’s service life. For those familiar with digital cameras, the moving parts are usually the cause of problems. Moving parts has a higher probability for wear and tear compared to other components of a device. In contrast to the S4 Zoom, the Lumia has less moving partsin its camera module. Moreover, these parts are enclosed within the phone’s polycarbonate body. Another point to consider is battery. The Galaxy S4 Zoom packs a 2330mAh battery which on paper should last for around 570 hours in stand-by and 13hours of talk time. But if you’re a power snapper, you’re probably using the device more as a camera, which can easily exhaust the life of the battery. Meanwhile, the Lumia 1020 sports a 2000mAh Li-ion battery, which should last for 384h in stand-by and around 13 hours of talk time. However, its optional camera grip also serves as an extra battery pack that extends the life of the smartphone when you’re snapping images like crazy. It also provides users with a dedicated shutter button and a tripod mount which completes the “professional-like” look and feel of the device. So having said all this about the Lumia 1020, is it really the best camera smartphone in the market? Well as always, it still depends on what you actually need. Yes, although the Nokia smartphone trumps over the Samsung in terms of form factor, maintenance and battery life, the Windows Phone from the Finnish company is also bigger and more expensive than the S4 Zoom. There’s also the choice between Android and Windows Phone. As with stories we’ve done in the past where we compared devices that run on different platforms, the number of apps and developer support also plays a major role when choosing between two products. At the end of the day, it’s still a matter of what features do you prefer in a smartphone that would affect your decision. So if it was up to you, which smartphone would you pick as the best super camera phone in the market? Share with us your thoughts by leaving a comment below. Previous Post Should Microsoft Get Out Of The Hardware Market?